Some reflections from Sophie Wilson, our Programme Subcommittee Chair who also works as the Exhibitions Team Leader at Cheltenham Art Gallery & Museum. 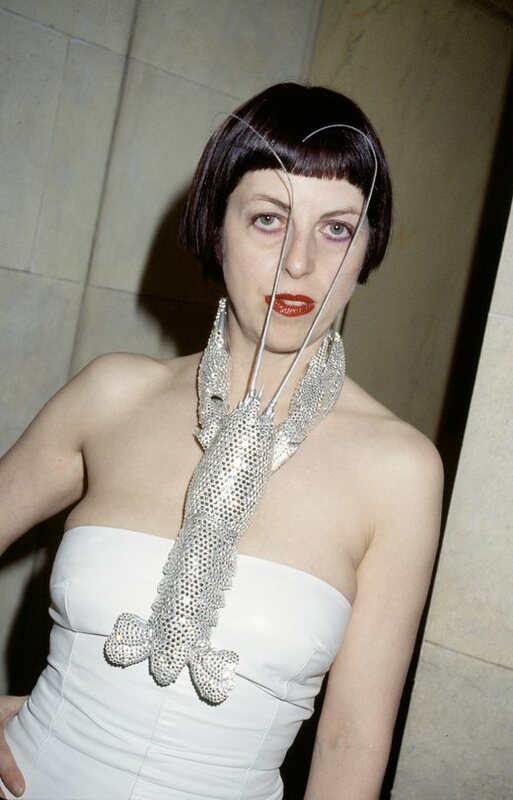 I went to the exhibition Isabella Blow: Fashion Galore with great expectation. I have admiration for what Isabella achieved and memories of meeting her during my time as Curator of the Costume Collection at the Art Gallery & Museum in Cheltenham. She also gave the museum her stunning wedding outfit and brought one of her young protégés, Philip Treacy to the costume museum to see the collection. I enjoyed the exhibition – it is an amazing collection including Philip Treacy, Alexander McQueen, Hussein Chalayan, Julien MacDonald and Manolo Blahnik. Treacy’ hats are beautifully displayed with space to breathe. Although interesting, I found some of the video footage not so well placed – too close together so sound fighting, or in areas where it was difficult for many to watch. As an exhibition of fashion it was great to see how designers had developed, especially McQueen and Treacy, and how the passion of one person can shape style. There is a huge amount on display and while I can see the reasoning for showing it all perhaps less would have been more. Having said that, anyone interested in fashion should definitely go, and it was heartening to see students drawing and taking notes. 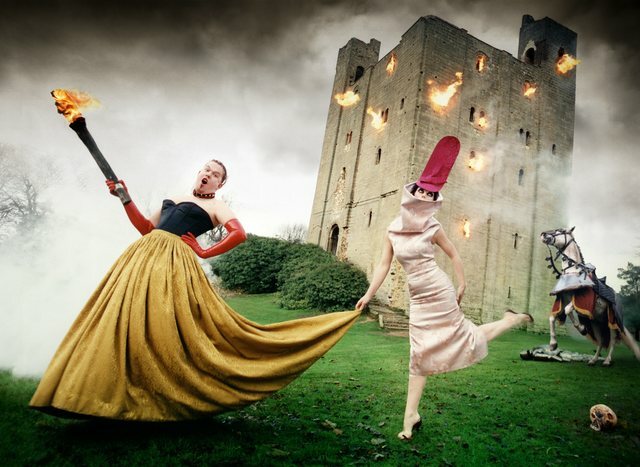 Alexander McQueen and Isabella Blow: Burning Down The House, 1996, London © David LaChapelle Studio, Inc.